Divya Mohan is a Gandhi Fellow and sent us this report about her session at a government school in Surat. Kahani kitne logo ko passand hai?? This is how it all started. I told them that now for 2 days we will enact a story in assembly. All students got excited. It was a first time experience for them. Eagerness on their face made me more confident that this approach will make assembly more enjoyable. 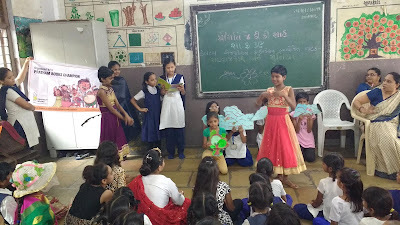 I told them this week 5th class will be executing it and from next week onwards each class will come up with new stories and will be enacting it in assembly. Even teachers liked the idea and made it their duty to allocate dates to the classes for storytelling. 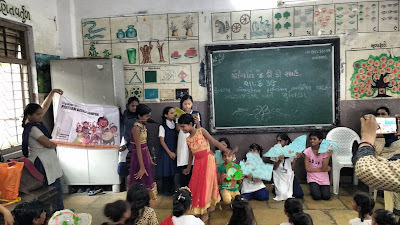 With the help of 5th class teacher, 15 students were selected and we guided them. But it was all their creativity and hard work that the drama was a great success. Story was divided into 2 halves where the first half of the story was enacted on first day and other half on the second day so that the children got curious to know the second half of the story. It was noticed that on the very first day children of class 3 who generally don’t speak much came to me and asked Dii.. aage kya hua tha?? At that time I realized that story telling can be used as a very useful tool to reduce absenteeism. And at last assembly was interesting and everyone was actively listening. 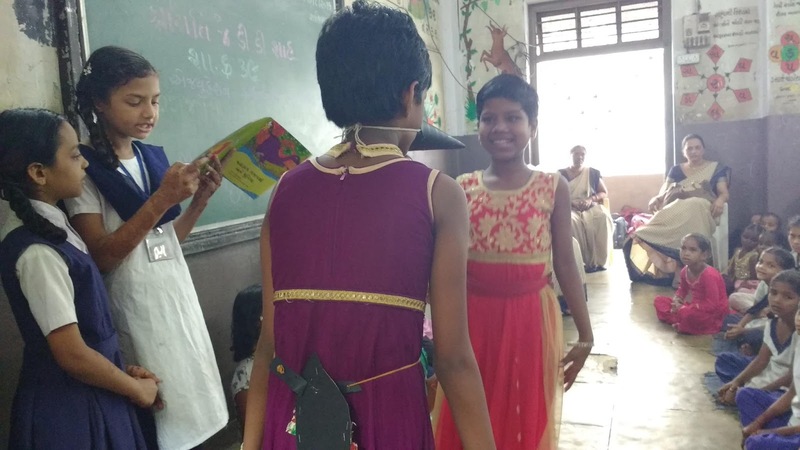 Thank you Divya for spreading the joy of reading! In its fifth edition of the 'One Day - One Story' campaign, Pratham Books was joined by 3000+ storytellers who conducted 3200+ storytelling sessions. Many, many steps towards a 'Reading India'! What started as a small step by Pratham Books to spread the joy of reading has become a movement. 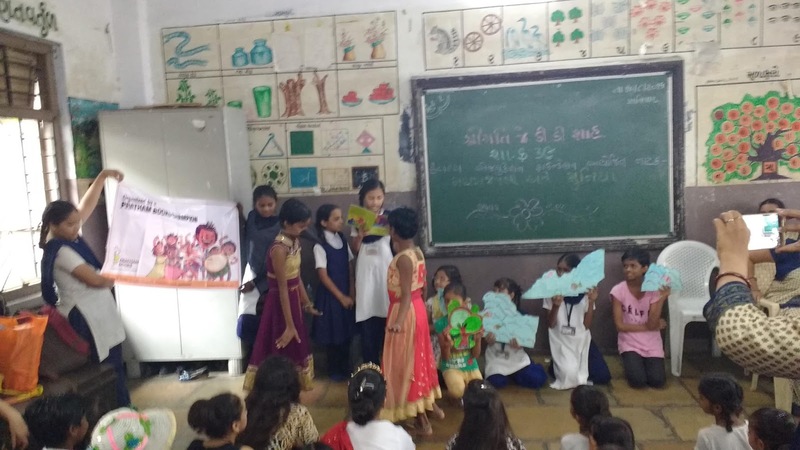 View more stories from the International Literacy Day Celebrations held in 2016.